This rule is commonly referred to as Parkinson’s Law, attributed to the British historian and author, Cyril Northcote Parkinson. He first used it in an article for The Economist, and later wrote an entire book on it, entitled “Parkinson’s Law: The Pursuit of Progress”. It was originally intended as a humorous poke at bureaucratic organisations, but nowadays productivity geeks everywhere have taken it and learned some real lessons from it. The rule certainly rings true with me. If you have a week to do some work, it will take you all week to do that work. However, if you only have 2 days to do that same piece of work, you will still manage to get it done in 2 days. The thing is, Parkinson’s Law doesn’t just apply to productivity. It also applies to other aspects of life. For instance, when I was at school, no matter how big a bag I had, it was always full. I started with a small bag and filled it, so next year, I got a larger bag. I then filled that. A few years in and I realised that half the stuff I was carrying round, I didn’t need, so I emptied it out and started with an emptier bag…. Which I filled. Parkinson’s Law relies on us being human. 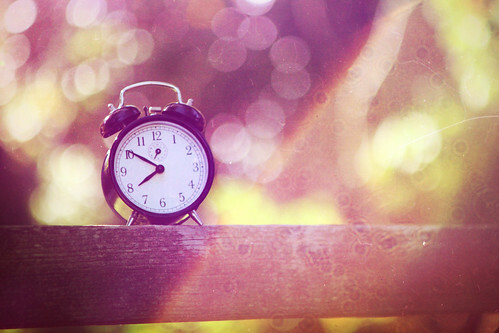 If you are given all the time in the world to do a task, then you will relax a bit and there is no urgency. You may also start to make the task bigger than it needs to be, looking for increased complexity in order to fill the available time. Looking at Parkinson’s Law from the other side, if you are only given 2 days to do the same task, you approach it with a much bigger sense of urgency. You will whittle the task down to the essentials and use all your energy to get the task done by the deadline. You can use Parkinson’s Law to your advantage. But you need to be strict with yourself. You need to set yourself deadlines. And stick to them. For instance, I know I only have this lunchtime in which to write this blog post. That’s 30 minutes. If I was sat at home writing it, I might take a couple of hours; mostly procrastinating about writing it, doing more research than was really necessary, umming and ahhing about how to word certain paragraphs. However, even with a brief natter with one of my colleagues, I’ve still got 10 minutes left at this point to finish it. Look through your daily “jobs”. For instance, emptying your inbox, reading, hovering etc. How long do you normally spend doing it? Get yourself a stopwatch. The one built into your phone will do. Time yourself doing the job how you normally would. Once the alarm goes off, stop. You will likely find that you have completed the task anyway. Next time, knock some more time off – perhaps 15 minutes, or even 10. 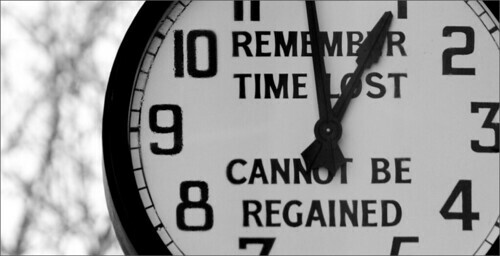 Before long, you will realise that you have reduced a 30 minute task to 1/3 of its original time. Once you have seen this for yourself, you can start applying it to other jobs that you do. Parkinson’s Law has been criticised by some people as being inaccurate. They claim that if it is a true observation, that you would be able to do a week’s worth of work in a minute. Well, the thing is, Parkinson;s Law is just an observation. It is not a mathematical law. Appropriate boundaries need to be observed when setting your personal deadlines. This is what takes care and experience. Its also why I suggested to start off with something small. I originally heard about Parkinson’s Law in Tim Ferriss’ The Four Hour Work Week. Despite its outlandish claims on the front cover, Tim’s book is a productivity gold mine. He uses Parkinson’s Law to push himself into getting more done in the available time (and free himself up for other tasks). If you tried my little trial, above, then please leave a comment with how you got on. Both successes and failures are welcome – I’m really interested to hear how this rule works out in the real world. And yes, I managed to write this article within my 30 minutes limit. Well, 32 minutes if I’m being totally honest. Thanks Robert. If there’s one thing I’ve learnt over the years, its that just because something particular is stated, it doesn’t stop people criticising based on what they heard, not what was said! I just wanted to address the point that I hear so often about people claiming the above – especially seeing as we were talking about shrinking the amount of time (although it could be argued that it is simply doing the work in the time that is needed).